Do you love to backcountry ski, mtn. bike or hike? Does the experience of sweet single track mtn. bike riding make you smile? 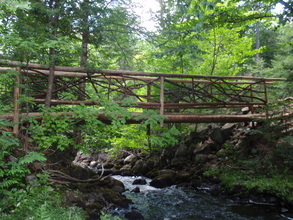 Would a wilderness type nature trail allow you access to the beautiful areas on your property? "Our mission is to enhance the wilderness character of private and public lands, while creating outstanding recreational opportunities." Have you fully investigated the recreation potential of your property? Wilderness Property Management Inc. has 30 years of experience in protecting wild lands and the people who use those lands. We are skilled in developing eco-friendly and top quality recreational opportunities.